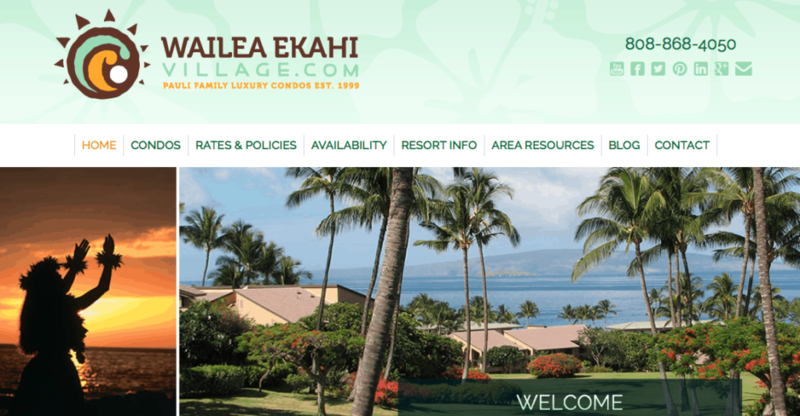 After many months (nearly a year) we are proud to launch our latest version of our South Maui Vacation Rental website specializing in Wailea’s Ekahi Village. If you are a new visitor to our site, welcome! If you are a returning guest, then we would like to welcome you “home” as well. Many of our repeat renters find that our Ekahi Village Condos are well appointed, have good to great ocean views and all have responsive, on-island local support to help with anything that arrises on island. We are very excited about this new version of our website. First, this site is now on a mobile responsive platform. What does this mean to you? A responsive design allow our users to see the full website on any device – smart phone, tablet, laptop or even a desktop computer. Additionally our new platform will allow us to showcase our beautiful Maui Condos with large, clear photos of each condo, such as our Ekahi 11E. We keep our calendars up to date in real time. When you are looking for availability you can search with 100% confidence that if we show open dates, those are indeed accurate. We offer a group availability calendar and also individual calendars for each of our 10 Ekahi Village Condos. We also have great information on Ekahi Village itself and of course many suggestions about our favorite restaurants and don’t miss activities. We also have a resource page that gives recommended vendors for baby rental items, grocery shopping,etc. As a reminder, we do not add any vendor unless we have used them ourselves and are satisfied with their superior service and operations. As always, please do let us know if there is anything in particular you want to know about Ekahi Village or Maui in general. We hope to see you on Island so you can see why, Maui No Ka Oi.